If you receive an email in your inbox with the subject Better Business Bureau complaint of unauthorized ACH transfers, don’t open it! This is just another attempt by phishing scammers to extract personal, sensitive information from you. Here are some details on the email scam unauthorized ACH transfers, the BBB news release confirming this is a scam, and detailed measures you can take to prevent becoming a victim to a phishing scam. 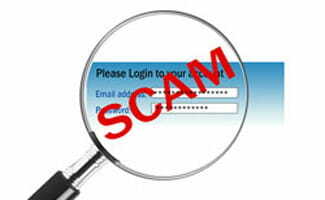 Phishing is a term used to describe someone who “fishes” for information. The scammer may use email, websites, phone calls, or any other means of contact to try and extract sensitive, personal information (such as credit card or bank account information, social security numbers, date of birth, name, address, etc.) from you. In most cases, they will try and disguise themselves as a legitimate entity. The problem with email phishing is that it becomes quite simple for the scammer to create a more or less legitimate looking email. That’s the case in this email from the Better Business Bureau, which attempts to lure you into thinking that a BBB complaint has been submitted against you or your organization. We’ll show you the details of the email below. These vary from case to case. Subject: Better Business Bureau complaint of unauthorized ACH transfers.